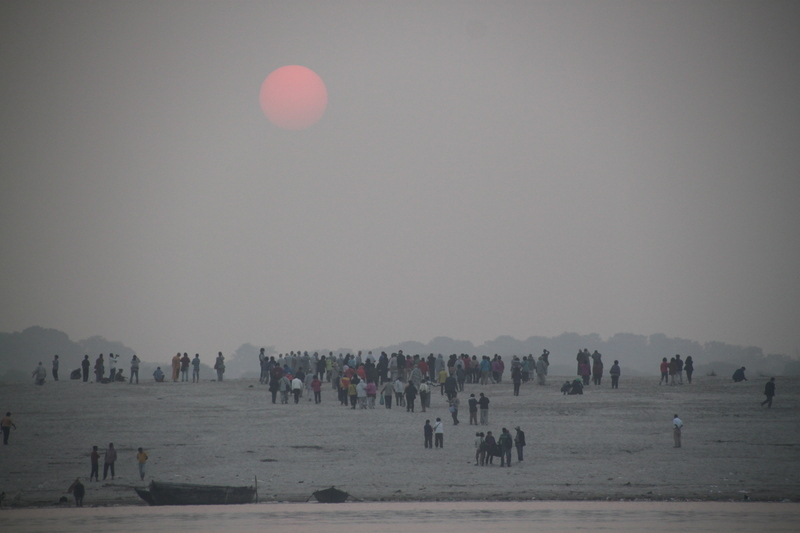 While we’ve joked about ‘sunrises’ in India and how they aren’t really worth trekking to the top of mountains for, in Varanasi we threw all our baggage aside and joined the throngs to partake in watching the day break from the waters of the Ganges. 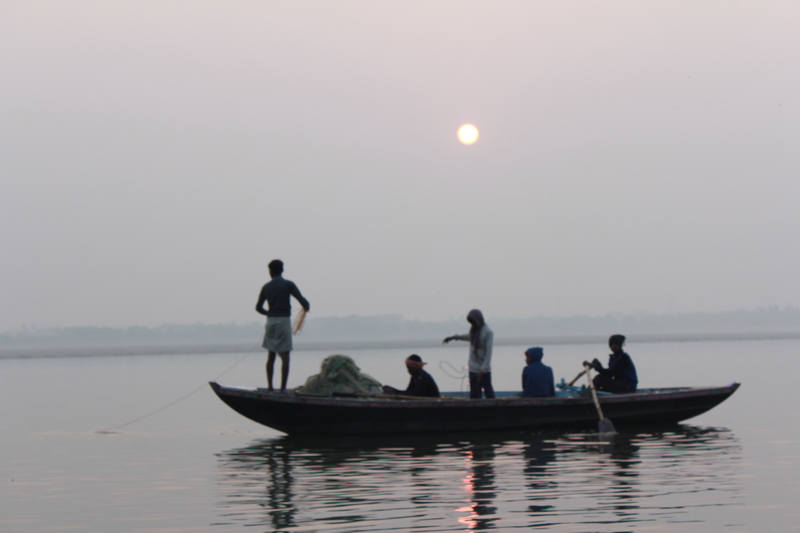 Gliding along on a little boat, its a pretty amazing way to not only start your own day but to view Varanasi as it wakes up too. 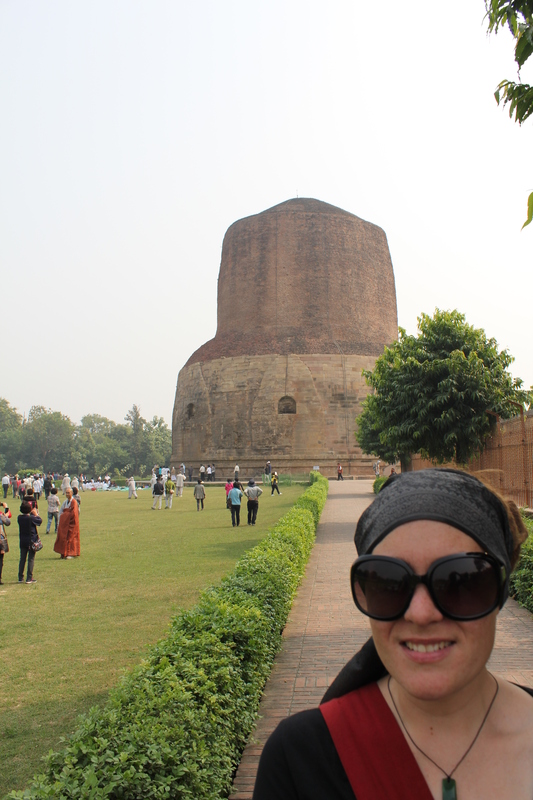 Sun firmly in place in the sky, hidden behind layers of who knows what, it was off to the stuff that religious studies dreams are made of – Sarnath, the legendary deer park where Buddha gave his first teachings on Dharma. Pretty epic stuff, really! 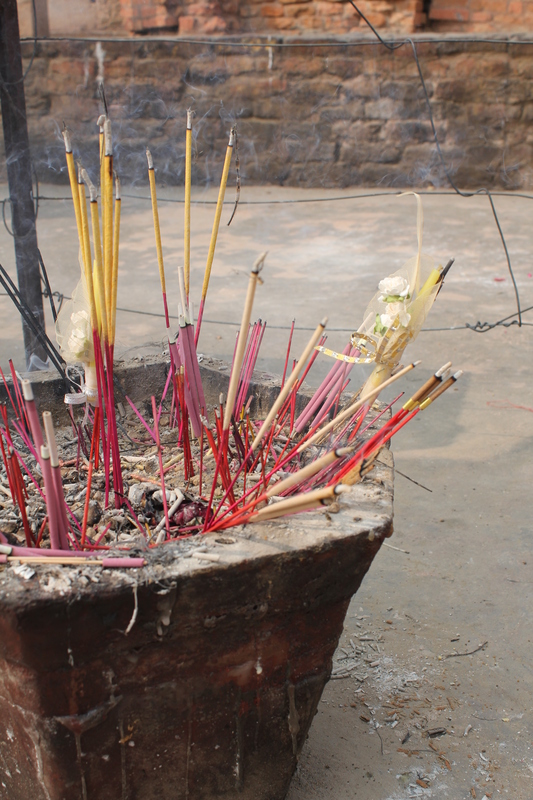 The parks is a veritable playground of stupas, ruins and even a bodhi tree or two and has been developed as a place of pilgrimage for Buddhists from everywhere and other nosey/interested parties. 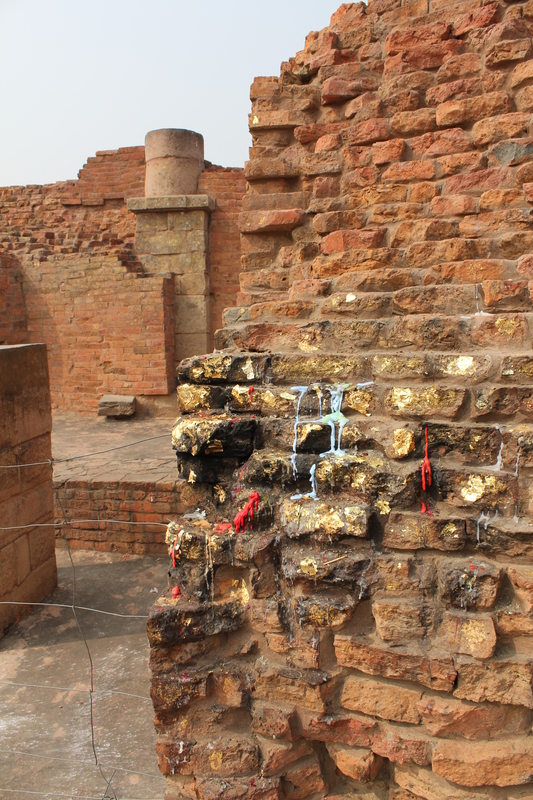 Many predominantly Buddhist countries have established temples and monasteries in Sarnath and it was a particularly cool thing to be able to see the differently clad groups of monks all hanging at the park, doing their respective monk-y stuff. 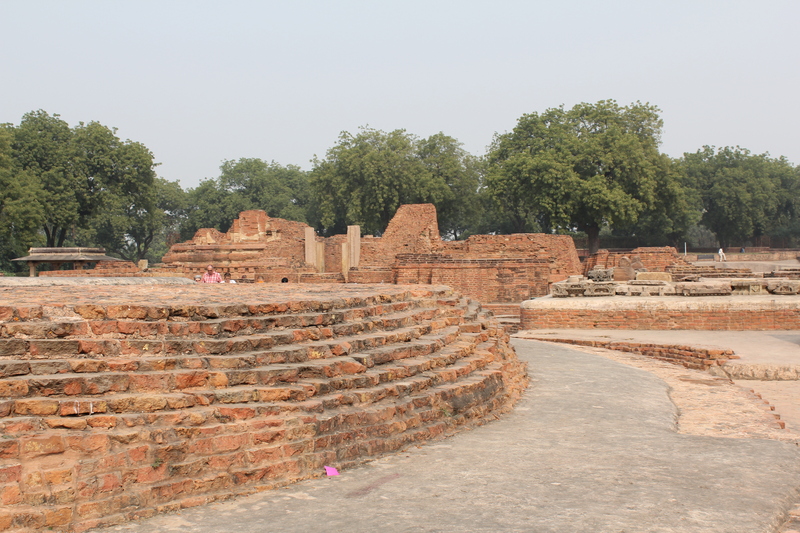 The different countries have established temples and monasteries in Sarnath in the style that is typical for their respective region which means visitors to the park also have the opportunity to experience an overview of Buddhist architecture from various cultures. 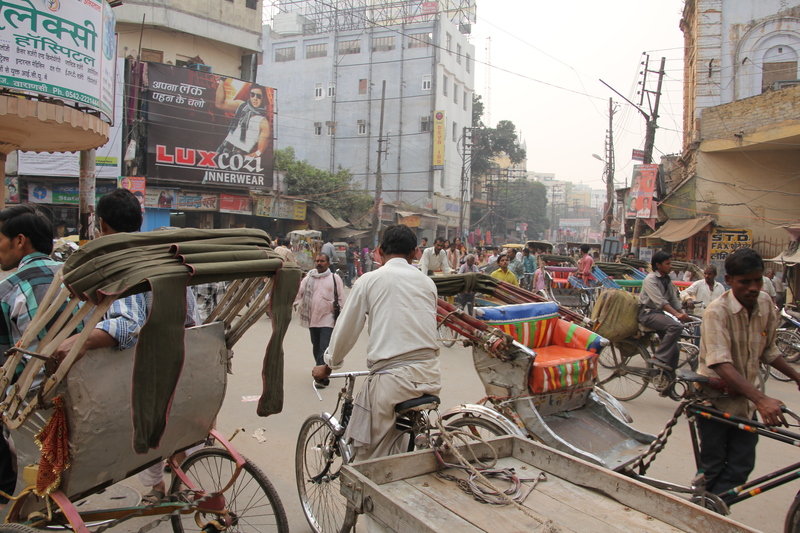 Its an amazing and spectacularly interesting place, so if you’re in the area, break away from the Ganges, get thee to a tuk-tuk and explore! 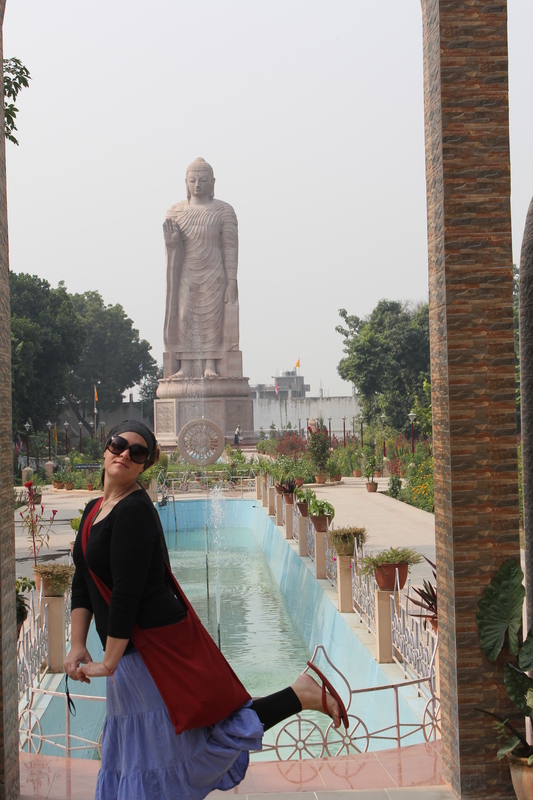 What better thing to do when you’re feeling all serene and Buddha-ised, than to throw yourself back in to the teeming streets of India?! The day was still a babe thanks to the early morning boat ride jackknifing us out of our slumber. 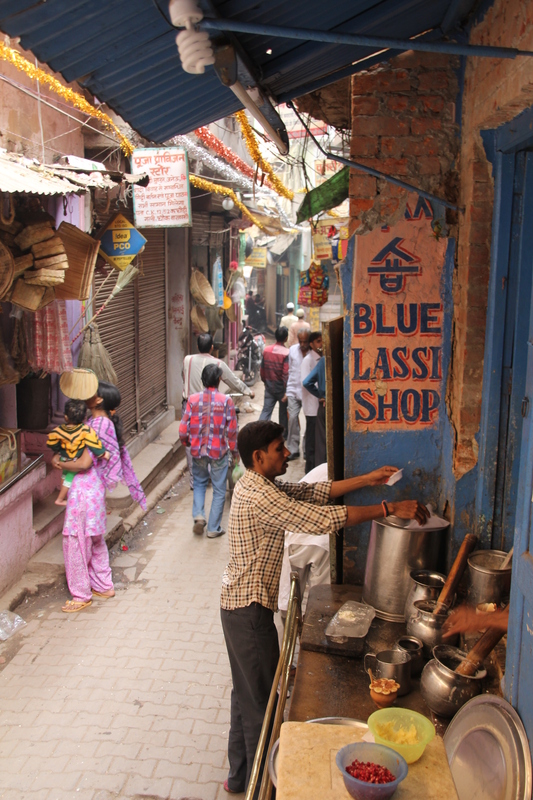 Blue Lassi is one of those places on the well beaten track in Varanasi that is worth a visit. 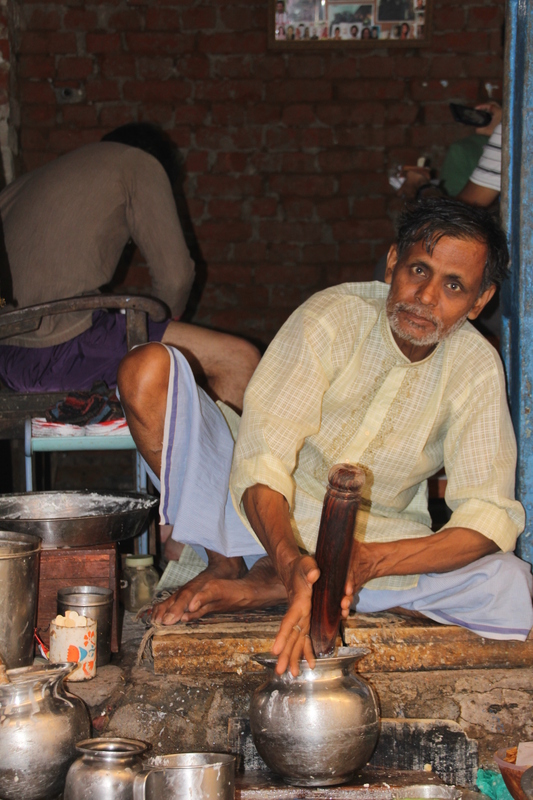 The due who runs it has has been making the sweetened yoghurt drinks since he was a child in this third generation business near Manikarnika burning ghat. Seasonal fruit is added, and the whole shebang is served in the traditional clay pot – which you smash when you’re finished! 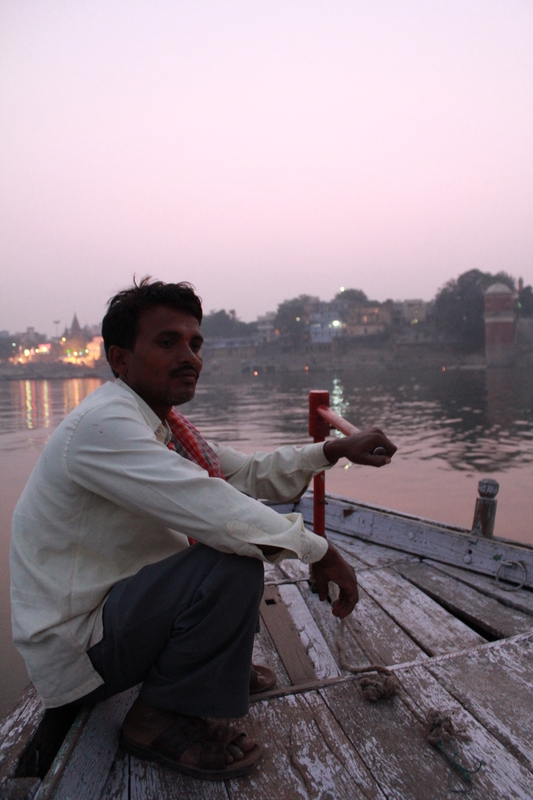 With the day drawing in quickly, it was time to have a final stroll along the ghats back towards a sunset boat ride. 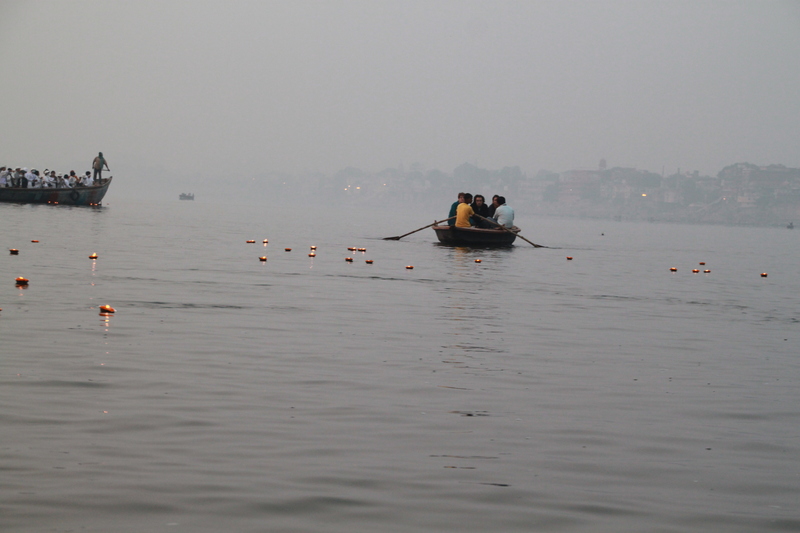 It seemed like the perfect way to finish up the day and also our time in Varanasi. 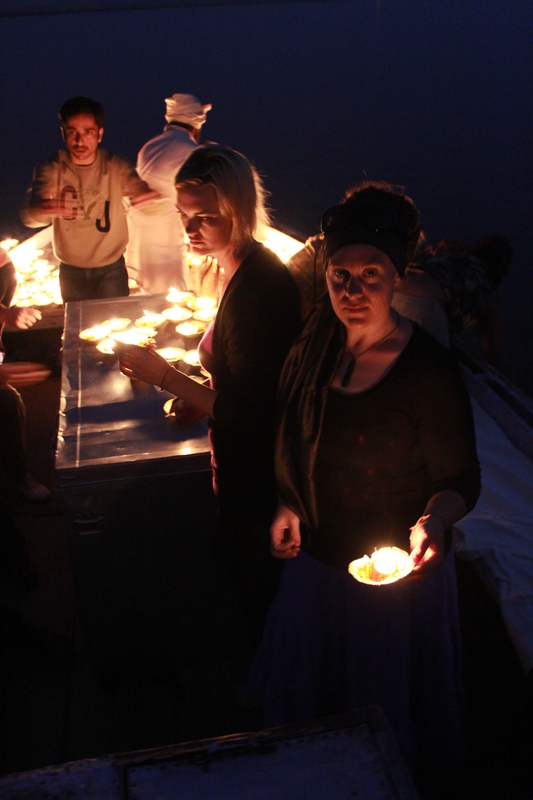 This time round, we launched our thoughts/prayers into the water with beautiful candles, which floated serenely down the Ganges. 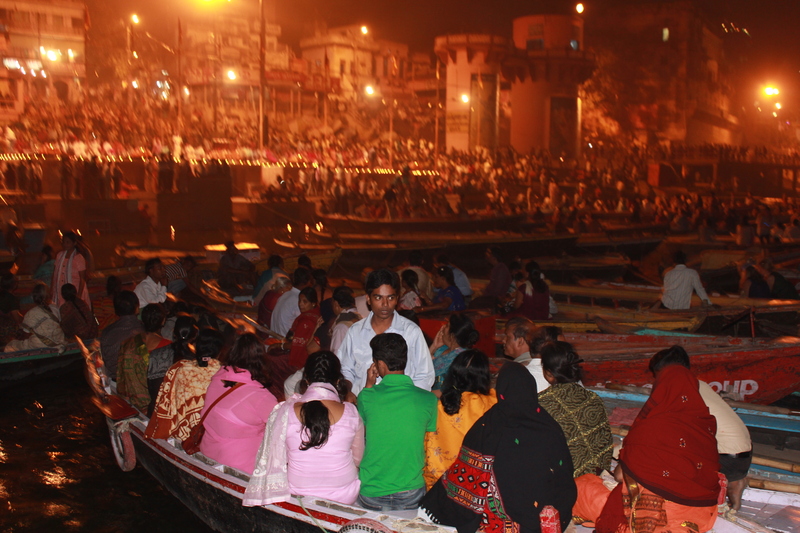 The serenity was, however, fairly short lived as we our boat jostled for position with hundreds of others to witness the nightly puja rituals on the ghats. 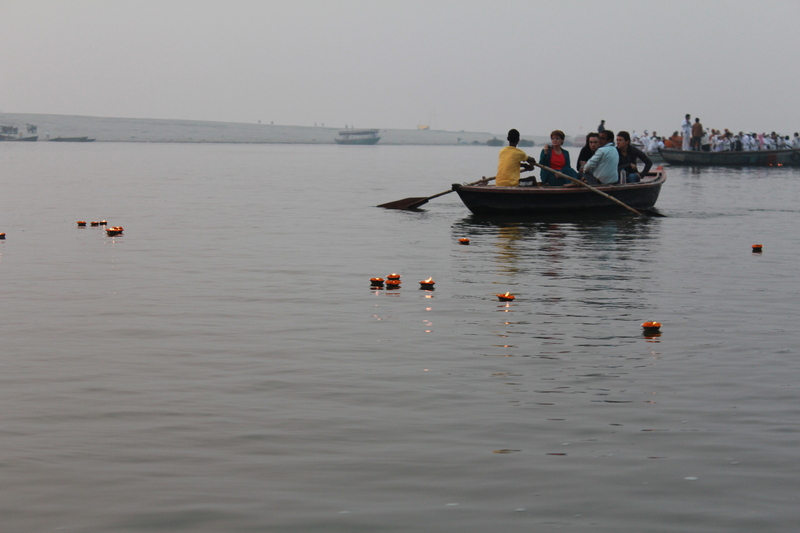 Vendors stepped from boat to boat plying their wares. It was crazy, awesome and the perfect ending for our time in this city that is unlike any other on Earth! This is really inspiring and so amazing. Nice Job! 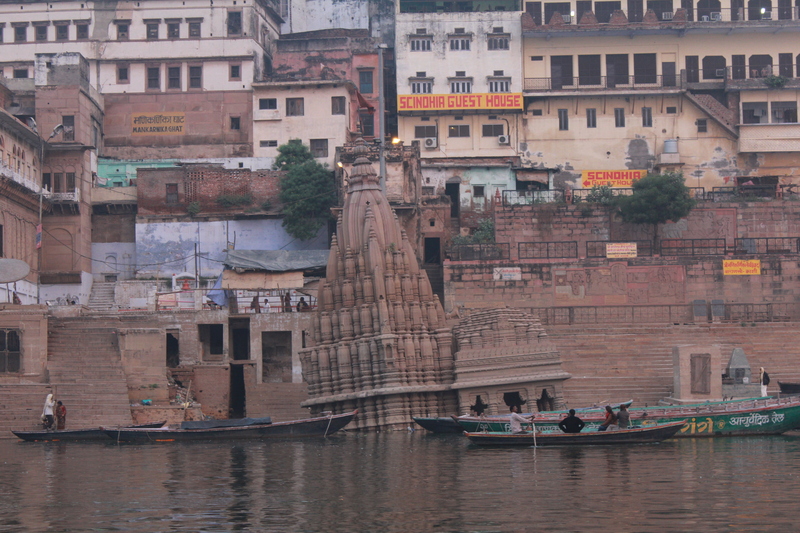 Varanasi is such an intense and awe-inspiring place – we hope you get the chance to visit sometime! so you were there, and experienced the city! come back fo more. thanks. till your next visit, visit Kasi through my blog. Great photo of the monks! 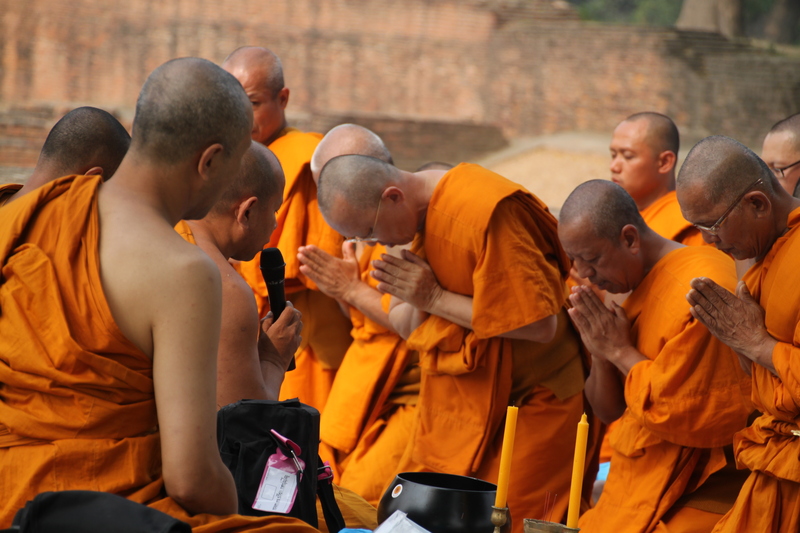 Monks must be one of the MOST photogenic groups of people, don’t you think?! 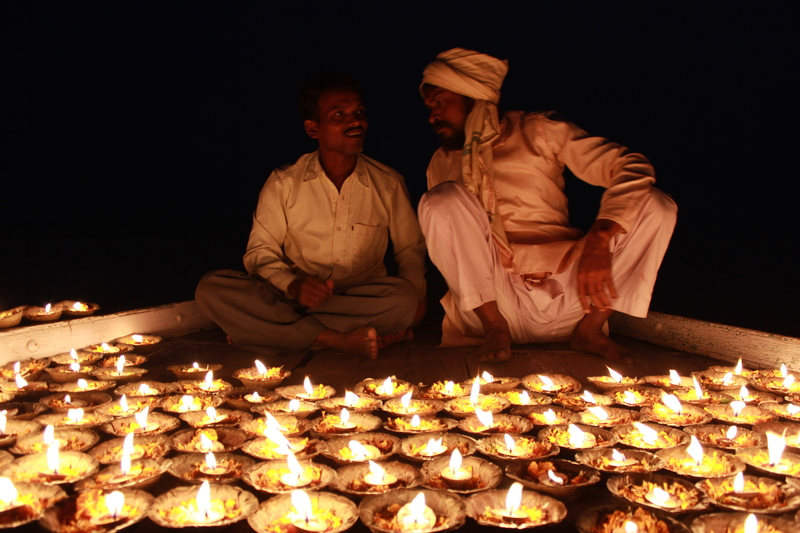 You really have had some amazing experiences and the India trip will be a memory you treasure for a lifetime. Thanks for sharing it with us! We have had some amazing experiences and long may they continue!!! Memory fades so quickly though, so its great for us to be able to write about it all so we have something to ‘archive’ it for when we’re old, crusty and senile, hehe. Smashing stuff IS fun, agreed! It must have a good effect on stress levels too, right?! 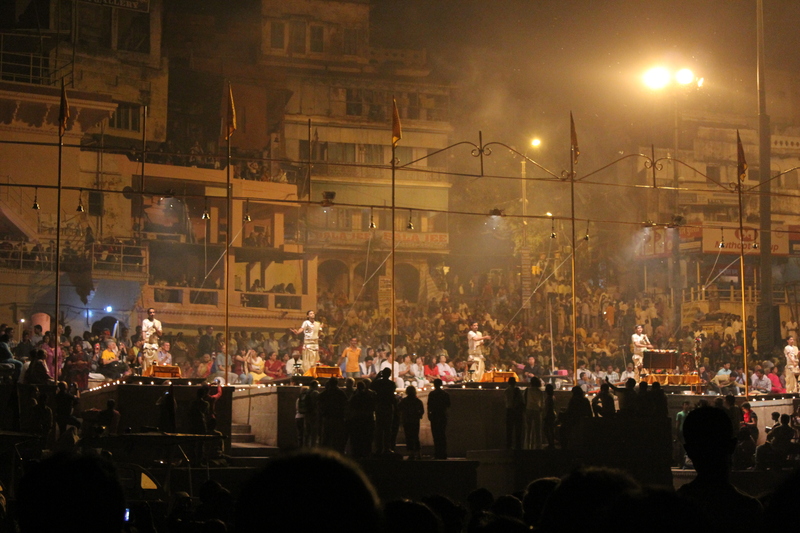 Ohhhhhh Varanasi…..you guys captured contrast of the spirituality + chaos perfectly!!! Thanks so much! 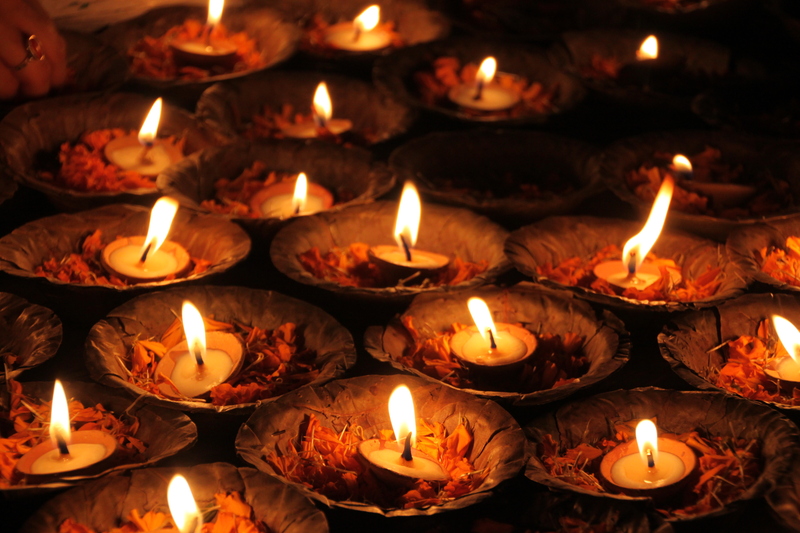 Spirituality and chaos seem to be perfect partners in India. Thanks – it was an amazing day! Much how we felt, too! Wow! I am trippin’ over the architecture! It is just too cool. How is it just sinking like that into the river..?? Cool, huh? 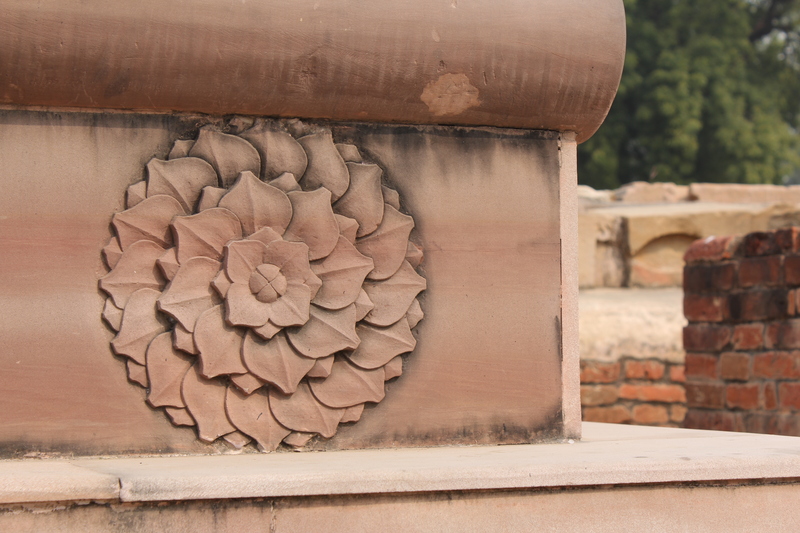 India has such an array of beautiful and intriguing architecture. We were travelling at one point with an architect so you can imagine, she was in paradise! WOW! Maybe I should join you two after Europe and abandon the South America part LOL. 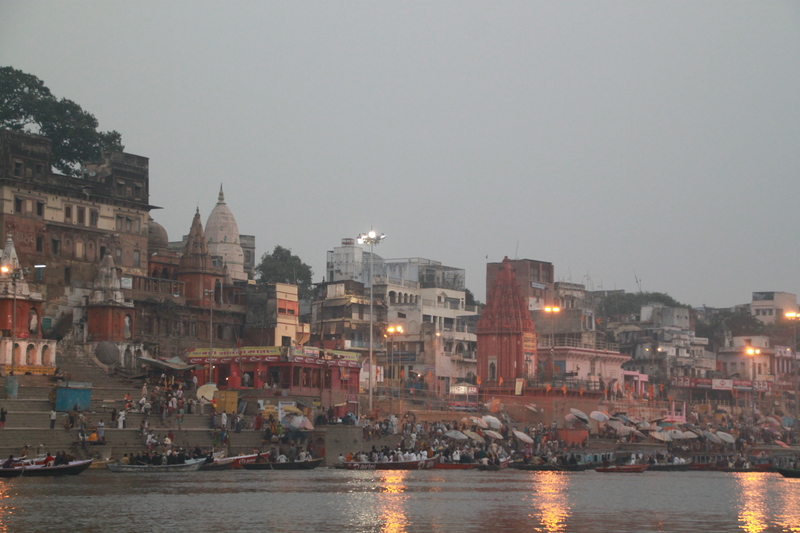 Whoooa………… the Ganges looks crazy at night. 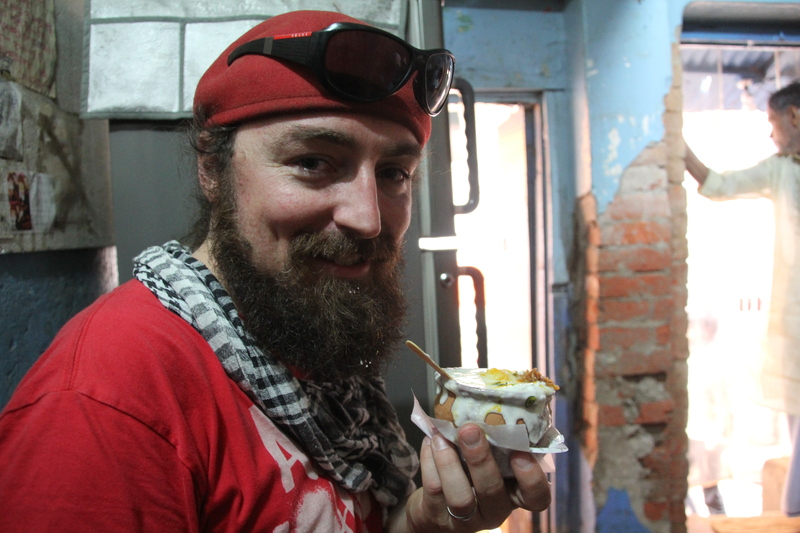 And this is so random, but doesn’t that character on the Lassi sign look like Korean writing?! 숍 – shop? !What the?? 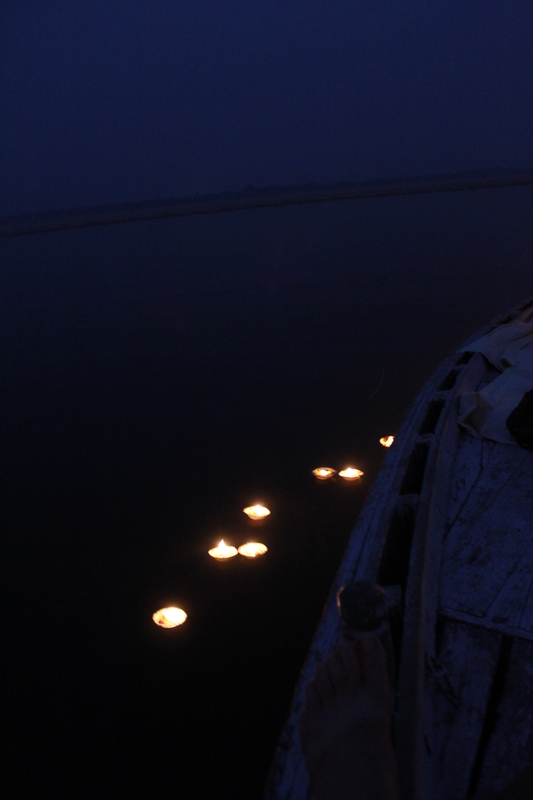 Nighttime on the Ganges was a pretty epic sight, for sure. So many people doing their thing, all in a pretty compact area. As for the sign, it is Korean. 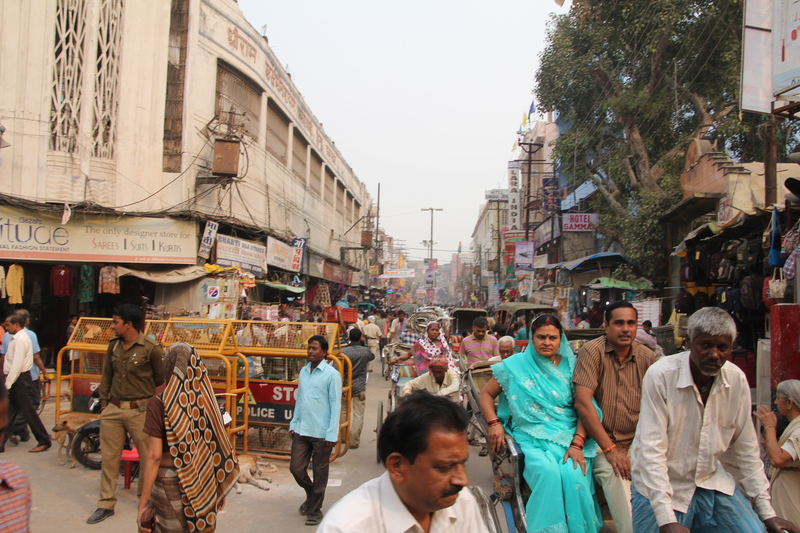 There is an unexpectedly large amount of Korean written all around India! I didn’t see many Korean tourists (in fact, I saw two, both in Agra at the ‘Korean’ cafe we went to, haha) but whenever I asked vendors about it they reeled a list of the dozen or so languages they were fluent in, generally acquired soley by their interactions with tourists as a way to make more money. Korean and Hebrew pop up all over the country! Crazy huh?! A glimpse of holy land. yes! 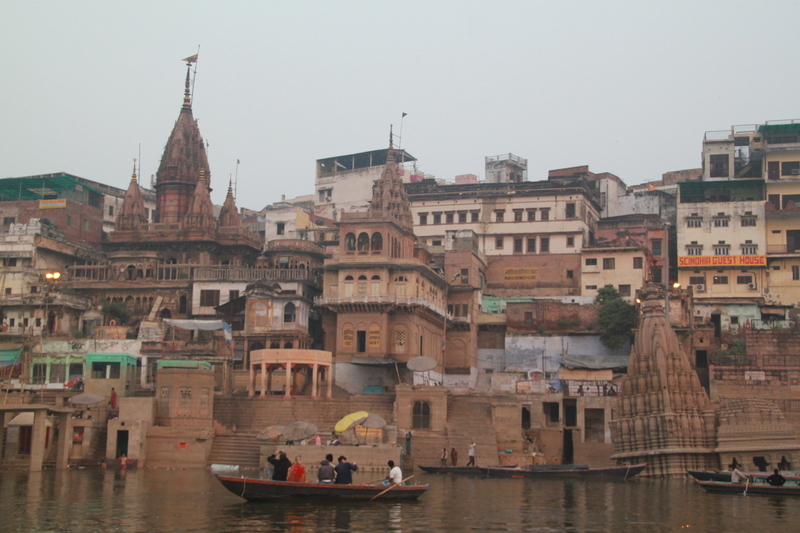 Varanasi is an incredible for its pristine culture, heritage temples and holy river “Ganga”. Its certainly unlike anywhere we’ve ever been before. 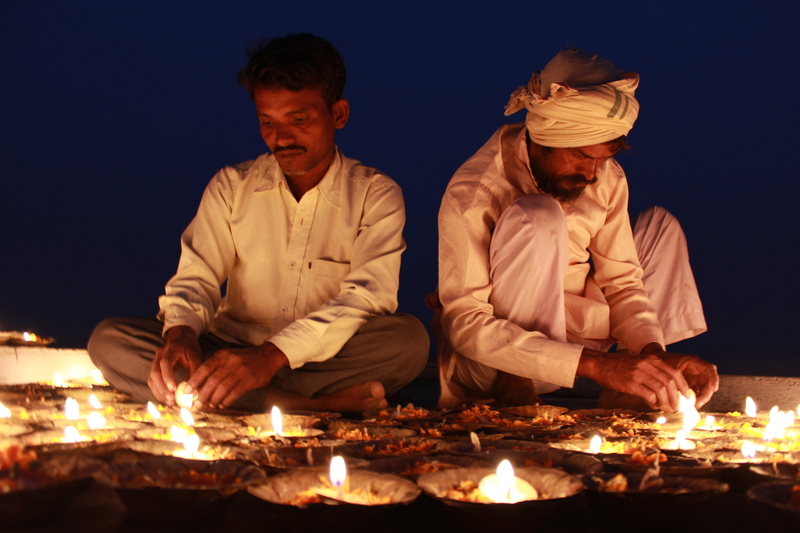 Incredible India lives up to the hype!